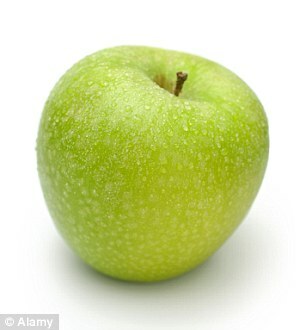 An apple a day can keep ageing at bay according to new medical research which could help prevent muscles wasting away in older people. A chemical found in the peel of apples can turn elderly people’s muscles into those of a young adult after just two months of treatment, claim scientists from the University of Iowa. They said both apple peel and green tomatoes have natural chemical properties which could turn back time for tired older muscles. Now the researchers hope the discovery could lead to new therapies targeting pensioners and other older adults enabling them to keep fit and active for longer. Muscle wastage in old age is caused by a protein called ATF4 which changes the formation of genes, starving muscles of the proteins they need to remain strong leading to a loss of mass and, subsequently, strength. But it seems two natural compounds can reduce ATF4 activity, scientists from the University of Iowa told the specialist Journal of Biological Chemistry. One of those is ursolic acid, which is found in apple peel, and the other is tomatidine which comes from green tomatoes, said Christopher Adams, professor of internal medicine and lead author of the study.